Need to reserve parking for more than four units at the same time? This is what you need to do to get it done! It’s not uncommon for us to receive an email from an operations/traffic manager or dispatcher, or a visit from a truck driver representing a trucking company looking for short-term or long-term parking storage for more than four units. We have the ability to help you resolve your parking nightmare, but only if you send an email at least three days in advance. If you need URGENT parking for several units (five or more) on a weekend, it’s not going to happen. If you need parking for ten or more trailers, we need to know about it for five days or more in advance. We are not strangers to emergency parking. In over 10 years of commercial parking experience, we have seen it all. Click here to send us an email if you need parking for four or more units at one time. To learn more about how to pay for our parking service, just click here. Are you a driver who lives in Tijuana or need to cross the border to run some errands? 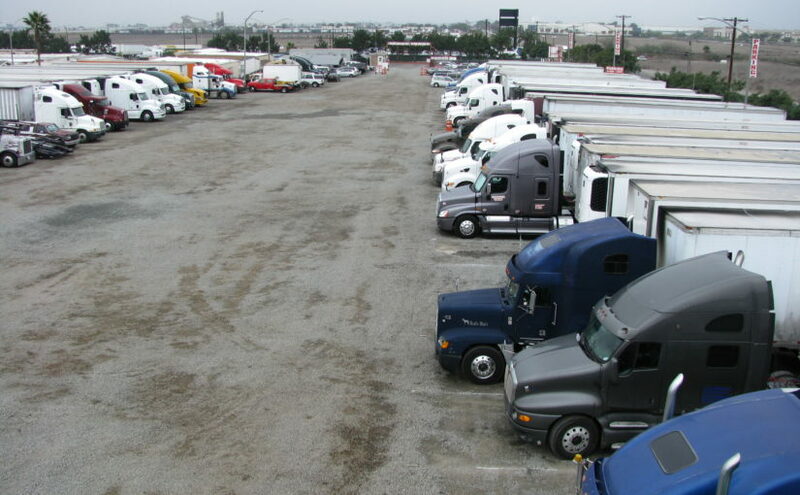 Delta Truck Parking is trusted and it is popular among local truckers who work in the USA and live in Tijuana, Rosarito, or Ensenada. If you need safe and secure parking for your empty or loaded unit to visit a dentist, a doctor, family members, or friends, to buy medication, or for fun, we provide free shuttle service to and from the Otay Mesa border crossing. Are you flying out of Tijuana, Mexico or San Diego Airport and need parking for your semi-truck and/or trailer? Delta Truck Parking is located just 2 miles north of the airport in Tijuana and about 25 miles south of San Diego Airport. If you are on vacation time or have an emergency and need safe parking for your expensive semi-truck or empty/loaded trailer, you may trust your equipment to us. To get to San Diego airport, you can call a taxi or use Uber or Lyft for transportation. To get to Tijuana Airport, we provide free transportation to the Otay Mesa border crossing or the CBX-Tijuana airport bridge. We do not provide transportation to the Tijuana or San Diego airports. Are you visiting beautiful San Diego and need parking for your equipment? Every week, we have truckers taking time off to visit our beautiful sun city, San Diego. If this is you in the near feature, we have parking available for you. In the past, truckers have called a car rental company to have them picked up at our location. We also provide free transportation to the car rental companies located at the CBX airport bridge. Delta has shuttle service, free of charge and available 24 hours, 7 days a week. The shuttle is available to and from Pilot Travel Center (#343), Otay Mesa border crossing, and CBX-Tijuana airport bridge. Do you have doubts or questions or need to see if we are able to provide parking for your equipment? Commercial parking is complex, and for some safety and legal reasons, we reserve the right to limit our parking services for some types of units or equipment that are difficult for us to monitor. Send us an email to see if we can help you out with your specific parking needs. You may also click here to go over the list that has the type of equipment that we cannot provide parking for you.